Due to a recent change by Bambora to their API Authentication requirements, there are some changes required to be made to your Bambora account settings for iClassPro integration to work. 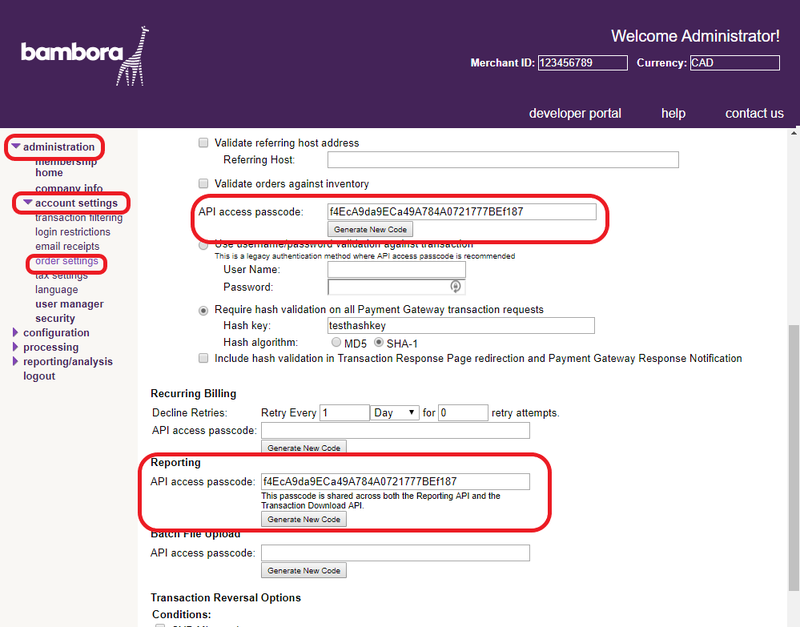 Previously, iClassPro has only been using the Payment Profile API Access passcode for the Bambora integration. However, due to the recent changes, the API Access passcode is now required to be set in three different places within the Bambora settings. The iClassPro settings require that the API access passcode be the same in all 3 places. Since the Payment Profile Configuration API access passcode is already in iClassPro settings, we recommend copying the passcode from that screen into the other fields within the Bambora settings. 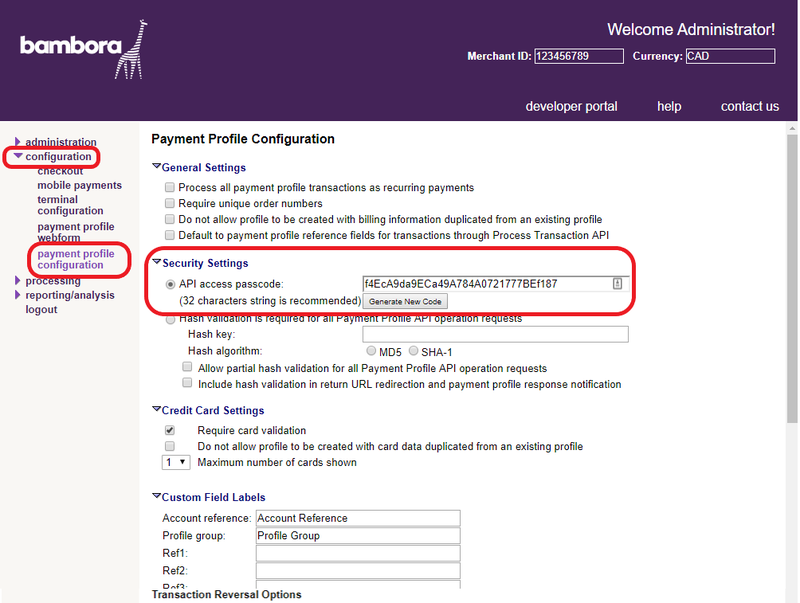 Step 3: Paste the API Access Passcode in the Order Settings page under the Payment Gateway section and the Reporting section as shown in the screenshot below. If your API Access passcode changes, please email the new passcode to support@iclasspro.com so that we can update the iClassPro settings for your account. Please contact us if you have any questions or need any assistance with this.